With the universal Christian Church, the Lutheran Church–Missouri Synod teaches and responds to the love of the Triune God: the Father, creator of all that exists; Jesus Christ, the Son, who became human to suffer and die for the sins of all human beings and to rise to life again in the ultimate victory over death and Satan; and the Holy Spirit, who creates faith through God’s Word and Sacraments. The three persons of the Trinity are coequal and coeternal, one God. Grace alone, Scripture alone, Faith alone. The word “Synod” in the Lutheran Church-Missouri Synod comes from the Greek words that mean “walking together.” It has rich meaning in our church body, because the congregations voluntarily choose to belong to the Synod. 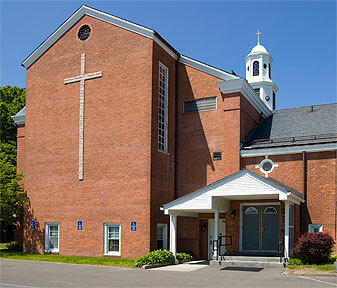 Diverse in their service, these congregations hold to a shared confession of Jesus Christ as taught in Holy Scripture and the Lutheran Confessions. The congregations of the Synod are “confessional.” They hold to the Lutheran Confessions as the correct interpretation and presentation of Biblical doctrine. Contained in the Book of Concord: the Confessions of the Evangelical Lutheran Church, these statements of belief were put into writing by church leaders during the 16th century (the simplest of these is Luther’s Small Catechism). The Augsburg Confession gives more detail on what Lutherans believe. 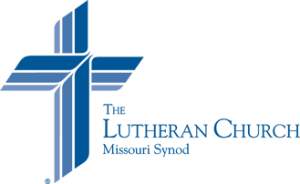 In grateful response to God’s grace and empowered by the Holy Spirit through Word and Sacraments, the mission of the Lutheran Church-Missouri Synod is vigorously to make known the love of Christ by word and deed within our churches, communities, and the world. Adapted from A Week in the Life of The Lutheran Church-Missouri Synod, copyright 1996, Concordia Publishing House.